Are you interested in becoming a beekeeper? Whether you would like to harvest your own honey, make your own candles, do your part to save the bees, or improve pollination in your lawn or neighborhood beekeeping can be an exciting a rewarding hobby. 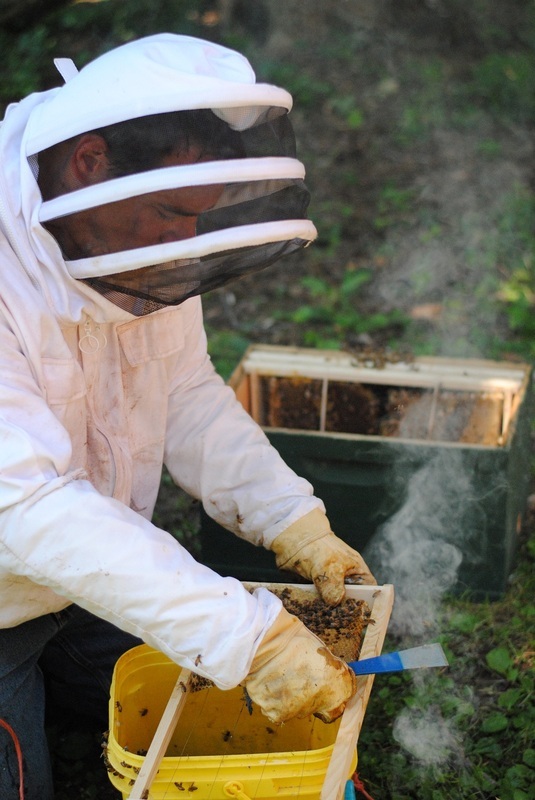 Most new apiarists start by taking a class on beekeeping, finding a mentor or both. We started our beekeeping adventure by enrolling in a course offered by West Central Ohio Beekeepers Association, our regional beekeepers club. Spend the time to search for clubs and groups that offer training in your area. Most clubs are not-for-profit and class enrollment fees are used to cover the costs of materials and site rentals. Other organizations offer the courses for free with the hope that you'll purchase your bees or equipment from the instructor. The path you choose will be a personal one, but it is helpful to have an experienced instructor and a mentor you can call upon when needed. We have provided a list of upcoming courses for our area. If you have a course you would like to list please email the webmaster an we'll include. Honey bees swarm as a natural means to split and reproduce the colony super-organism. A group the bees leave their prior colony and settle in a temporary location while scouts search for a suitable cavity in a tree, shed, home or other structure. While swarms may appear dangerous the bees are typically docile and easy for a beekeeper to relocate. Once the swarm has relocated into a cavity and have comb with eggs and larvae they are much more difficult to remove. If you think you have a swarm contact a local beekeeper immediately. 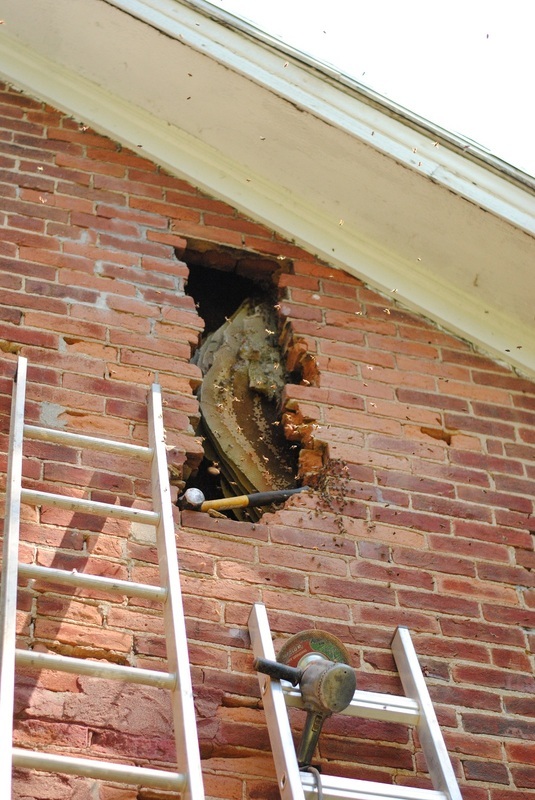 The bees may move off into a hollow tree, but if they move into your home or buildings the removal will be more intrusive and potentially expensive. Carrowmore Farm and Apiary will remove swarms in the Springfield and Dayton Ohio areas, dependent upon our availability and the location of the swarm. Please contact us if you think you have a swarm. 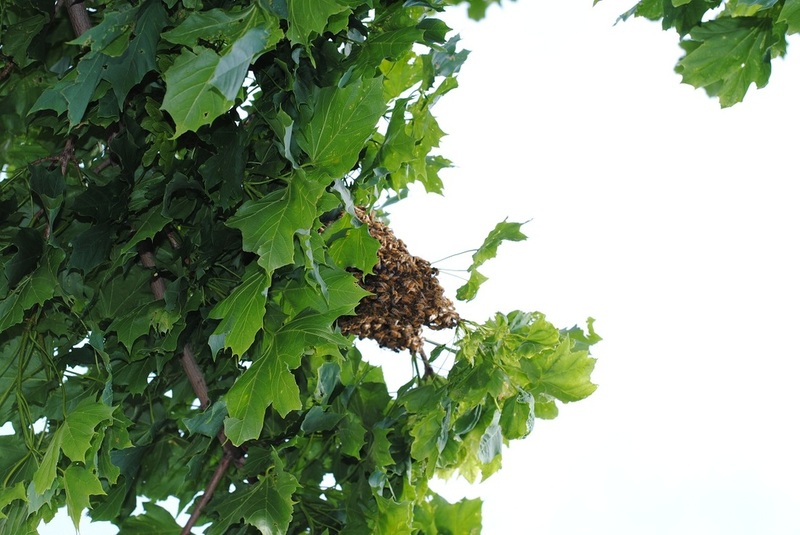 After swarming bees will find a suitable cavity in a tree or structure. Once settled in the structure the bees will need to be removed by a cut out or trap out. In a cut out the colony is removed by opening up the cavity, removing the comb and bees, and relocating them. In a trap out the entrance is partially covered so that the bees can leave the cavity, but cannot return. Usually a box is placed outside the hive with some drawn honey comb and the bees will settle into the new box when they can't get into their home. Cut outs are much more invasive than trap outs but the bees are gone and with some luck the beekeeper will save the queen, comb and colony. 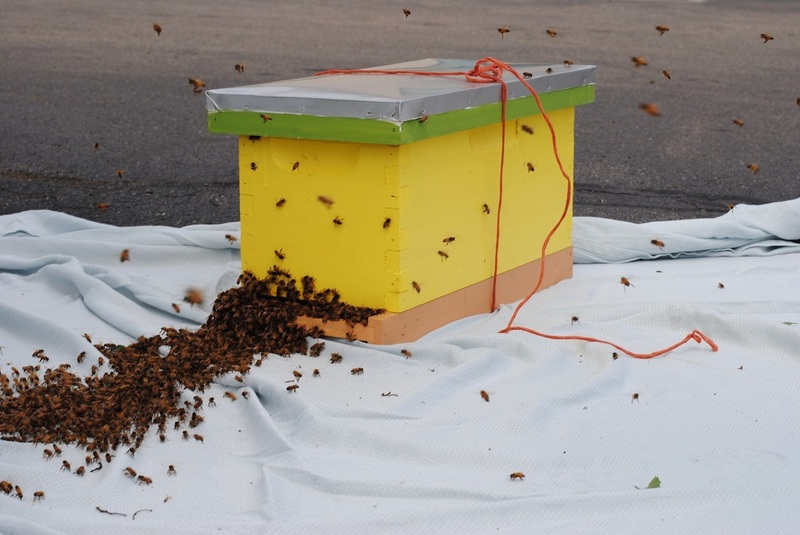 Trap outs require less physical damage to the structure but may take weeks, often do not get the queen, and leave the honey comb and honey inside the structure. This comb is an open invitation for the next swarm to move in repeating the cycle. Carrowmore Farm and Apiary has done select bee removals via cut outs or trap outs. Our ability to assist depends upon the complexity of the project, urgency of the removal, and expectations of the land owner. We are not carpenters, masons or tree experts. However, we do like to help prevent the bees from falling victim to pesticides or extermination when we can.